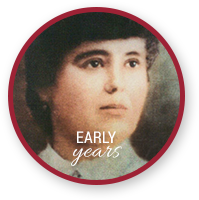 Clelia Merloni, foundress of the Apostles of the Sacred Heart of Jesus, knew from an early age that following her father's footsteps in the family business was not the journey her life would take. 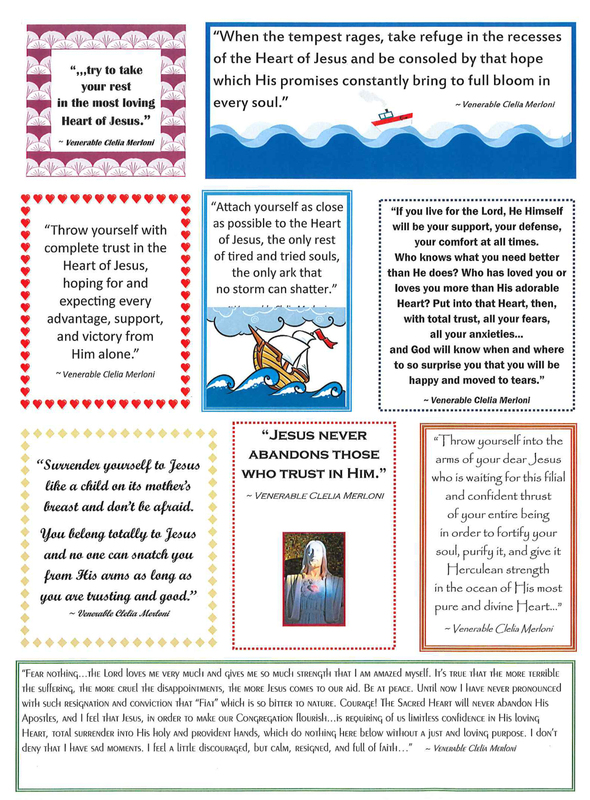 We welcome you to learn more about her and her faith-filled journey. Clelia Merloni was born in Italy on March 10, 1861. As she matured, she found herself more attracted to prayer and solitude than to the elite social life and administration of the family business that her father wanted for her. Intelligent, gifted, and enthusiastic, she responded generously to God’s call by choosing the way of religious life. She renounced everything, using instead the rich energies of her charismatic zeal and the sizeable inheritance from her father’s estate to minister to the needy and marginalized. 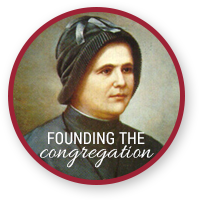 On May 30, 1894, she founded the congregation of the Apostles of the Sacred Heart of Jesus, sending sisters to the Americas at the turn of the last century. 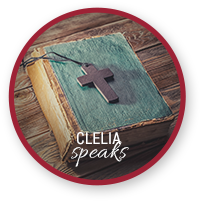 For the holiness needed to be able to fulfill God’s will and to lead the Sisters, Blessed Mother Clelia had to sustain many years of difficult trials, profound humiliations, and unspeakable sorrows. Her life was consumed in daily kindnesses and sacrifices for the needs of others and for the growth of the congregation. Blessed Mother Clelia died in Rome on November 21, 1930. Her body was placed in the Motherhouse chapel after her body was exhumed in 1945 and found to be incorrupt. On November 3, 2018, Mother Clelia Merloni's beatification was celebrated at the Basilica of St. John Lateran in Rome, Italy. Hundreds of priests and thousands of lay faithful came to celebrate this joyous event. 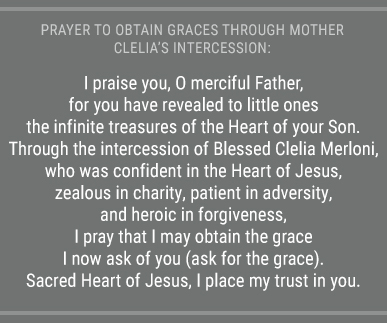 We encourage all to pray through the intercession of Blessed Clelia Merloni. The Holy See opened Mother Clelia Merloni’s cause for canonization in 1988. At 7:00 p.m. on December 21, 2016, the Holy Father, Pope Francis, signed the Decree of Venerability of our most beloved foundress. 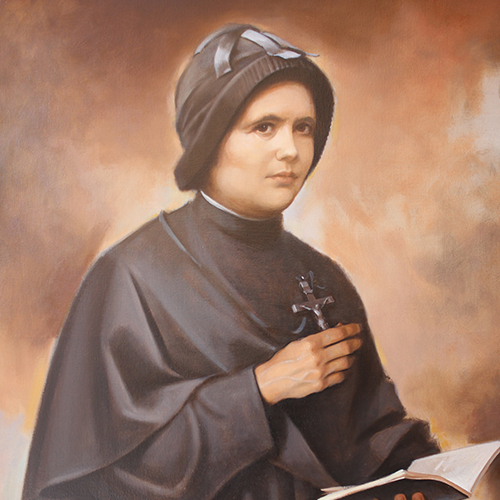 The miracle approved by the Congregation for the Causes of Saints, which facilitated the beatification of Mother Clelia took place in Brazil in 1951. The diocesan process took place in the Vicariate of Rome from January 25, 2005, to April 11, 2011. During that period, five eyewitnesses gave their oral testimonies: Sr. Delurds Vendramin, Sr. Ricarda Moretti (Aparecida), Fr. Ernesto Ferrero of the Priests of the Christian Doctrine, Sr. Maria Luiza Luca, and Sr. Maria da Glória de Oliveira. In addition, 14 written declarations from individuals who had followed the illness and healing of the Brazilian doctor Pedro Ângelo de Oliveira Filho were included in the documentation. On February 23, 2017, the medical council convened and gave a favorable opinion, and on the following June 27, the Special Congress of Theologians offered the same opinion. The story of the miracle dates back to March 14, 1951, when the Brazilian doctor was stricken suddenly by a progressive paralysis of all four limbs and was rushed to Santa Casa de Misericordia di Ribeirà o Preto Hospital. The doctors diagnosed him with an ascending progressive paralysis known as Landry’s paralysis or Guillain-Barré syndrome. Within a few weeks, the paralysis worsened and spread, resulting in acute respiratory insufficiency. It finally reached the glottis, causing great difficulty in swallowing. The prognosis was fatal in view of the gravity of the condition and the limited medical options for a cure available at that time. Because the paralysis had reached the throat, the doctors discontinued treatments. On March 20, the patient was having great difficulty breathing and was barely able to swallow his saliva. The doctors informed the family that he would not survive the night. With that news, the patient’s wife, Angelina Oliva, sought out Sr. Adelina Alves Barbos to ask for prayers. The sister gave her a novena to Mother Clelia along with a holy card containing a piece of fabric from the veil that Mother Clelia wore. Sr. Adelina, together with Angelina, her children, and other family members, began praying immediately. Sr. Adelina approached the sick man and gave him a cup of water in which she had placed the tiny relic. Although he was gravely ill, he managed to take some of the water. After a few minutes, those present noticed that he was able to swallow and was no longer losing saliva. Sr. Adelina tried giving him a spoonful of water, and he drank it. She then put a small amount of water in a cup and had him drink that. Then she poured some milk in a glass and gave it to him, and he drank it without any problem. Everyone was amazed at the sudden improvement, so much so, that the sister went to the kitchen to prepare some custard. Pedro Ângelo swallowed it easily. When the doctor on call arrived in the morning and saw the patient cured, he exclaimed that it was a miracle. Pedro Ângelo continued to improve, and within three weeks, he was walking normally. On May 6, he was released from the hospital, for his healing was complete, permanent, and without relapse or signs of any symptoms. The doctor died on September 25, 1976, of cardiac arrest, thus from a completely different cause, 25 years after his miraculous cure. 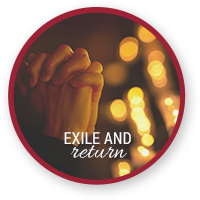 We welcome you to read about Clelia's childhood, the earliest days of the congregation, and her years of trials, exile, and joyous return to the congregation. May Mother Clelia accompany us on our own journeys, encouraging us by her example of faith-filled hope.